of Central Presbyterian Church is pleased to introduce Associate Pastor Elect Ashley Bair. 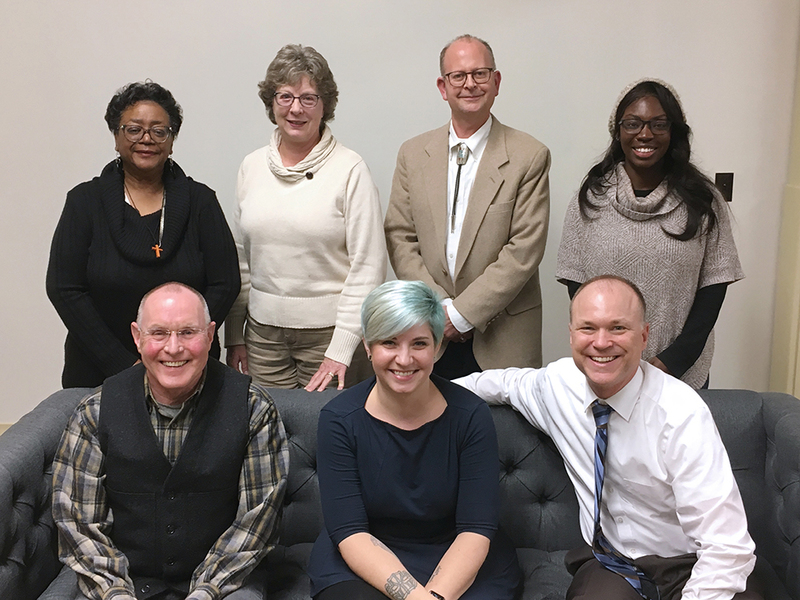 At special meeting of Central Presbyterian Church on Sunday, January 27, a hearing was called to receive the final report of the Designated Associate Pastor Nominating Committee and to vote on the acceptance of Ashley Bair as the Designated Associate Pastor. First, a vote was received of the children and visitors as an advisory to the congregation. 13 votes of children, 24 votes of visitors all as yes. Then came the vote of the congregation and with the ballots of 65 members in hand, it was a unanimous YES! And so, we welcome Ashley Bair as our Designated Associate Pastor elect and look forward to her joining our staff and congregation. The congregational meeting on January 27 was an historic day for Central and an important one for Ashley. But this is not the final step on her journey toward ordination in the Presbyterian Church (U.S.A.). Ashley has been researching housing options in Saint Paul. Her decision will impact her actual starting day at Central, but we are planning for her to begin on or around February 20. Then in March, Ashley will return home to be examined on the floor of a meeting of the Lake Michigan Presbytery. Sometimes called the ordination trials, this will involve her reading her statement of faith and answering any and all questions posed to her by members of her home presbytery. Anticipating a positive result, she is planning for a service of ordination to occur in Michigan later that month. Assuming that the way is clear, the Presbytery of the Twin Cities Area will act in May to receive her membership as an ordained clergy person in an act of transfer. And then she can and will be installed in a worship service here at Central. The DAPNC is pleased to introduce proposed Designated Associate Pastor Ashley Bair to the congregation through a series of videos with Ashley. In video 1 of 3, we learn of Ashley's background and the journey she has taken through social work and mission work towards a career in ministry. We invite you to learn more about Ashley by downloading this pamphlet which was mailed to all members. In video 2 of 3, we learn what drew Ashley to Central. In video 3 of 3, we hear about Ashley's look towards the future and what she is eagerly awaiting at Central. Thank you to the DAPNC! Thank you to everyone who served on the Designated Associate Pastor Nominating Committee. We are grateful for your commitment to finding the right candidate to serve at Central and for the 791.25 hours you put in to do this work.